Henry David Thoreau was born July 12, 1817 - "just in the nick of time," as he wrote, for the "flowering of New England," when the area boasted such eminent citizens as Emerson, Hawthorne, Whitman and Melville. Raised in genteel poverty - his father made and sold pencils from their home - Thoreau enjoyed, nevertheless, a fine education, graduating from Harvard in 1837. In that year, the young thinker met Emerson and formed the close friendship that became the most significant of his life. 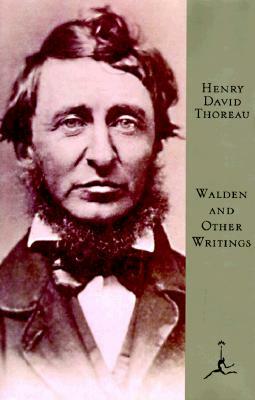 Guided, sponsored and aided by his famous older colleague, Thoreau began to publish essays in The Dial, exhibiting the radical originality that would gain the disdain of his contemporaries but the great admiration of all succeeding generations. In 1845, Thoreau began the living experiment for which he is most famous. During his two years and two months in the shack beside the New England pond, he wrote his first important work, A Week on the Concord and Merrimack Rivers (1849), was arrested for refusing to pay his poll tax to a government that supported slavery (recorded in "Civil Disobedience") and gathered the material for his masterpiece, Walden (1854). He spent the rest of his life writing and lecturing and died, relatively unappreciated, in 1862.